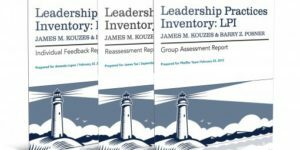 The journey towards excellent leadership begins when you’re given the gift of empowerment, and the first step is to assess your strengths and weaknesses by understanding how often you and every leader within your organization practices a key set of behaviors. Leaders who take that first step and go through the LPI 360 (Leadership Practices Inventory) set an example by behaving in ways that are consistent, promote progress and build commitment. They recognize individual contributions to the success on every project and they celebrate team accomplishments. Above all, leadership is a journey and a process that involves an exciting mix of personal development and shared aspirations. When you want more effective leaders. Employees who have a high degree of personal credibility and who feel proud to be a part of their organization. 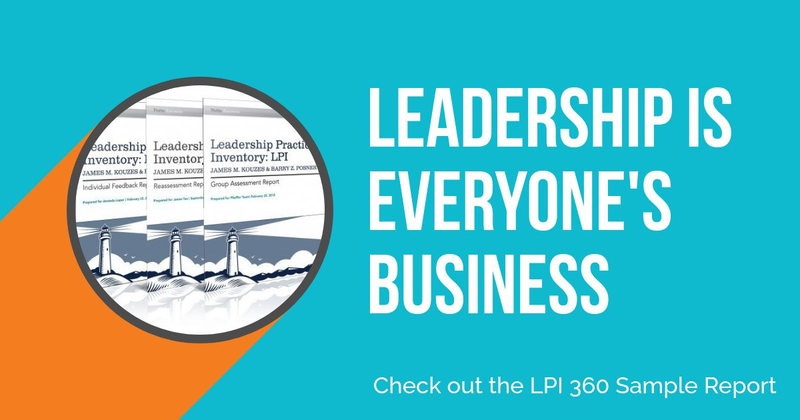 The LPI 360 helps to develop exemplary leaders at every level while fostering a high-performing team despite differences in age, gender, education, and ethnicity all while setting a foundation for success that builds on your company values. When you want your organization to grow. Through 30-years of evidence-based research and millions of leaders using this model, the data we provide paints a very compelling growth pattern. By motivating others with shared goals, that vision comes more to light. By liberating the leader within each person, you enable extraordinary things to happen and foster your organization’s growth. When you want to improve your culture. Implementing organization-wide renewal and change is never easily done and recognizing the need for change can be almost as challenging. Establishing a culture where everyone is enabled to be innovative and envision the future while keeping an eye on the organization’s bottom line calls for a strong commitment to leadership throughout the ranks. The LPI 360 enables you to ensure a strong commitment by using a reliable and valid 360-degree feedback tool that is easy to use and understand. When you want leaders who Model The Way. Leaders set the tone for how people should be treated and the way goals should be pursued. They create standards of excellence and then set an example for others to follow. They unravel bureaucracy when it impedes action; they put up signposts when people are unsure of where to go or how to get there; and they create opportunities for victory. When you want leaders who Inspire a Shared Vision. When you want leaders who Challenge the Process. When you want leaders who Enable Others to Act. When you want leaders who Encourage the Heart. Accomplishing extraordinary things in organizations is hard work. To keep hope and determination alive, leaders must recognize contributions that individuals make. In every winning team, the members need to share in the rewards of their efforts, so leaders celebrate accomplishments. They make people feel like heroes.